This New Adult book is intended for readers over the age of 18 due to adult language, sexual content, and adult situations. 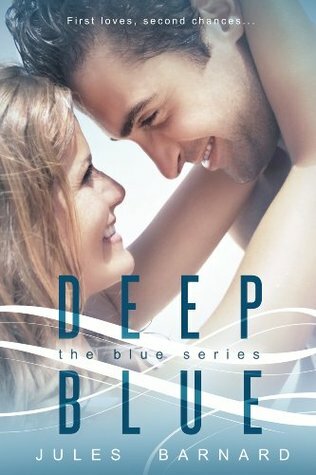 After browsing IndieSagePR's review library I came across Deep Blue and knew I wanted to read it. I applied for a review copy and IndieSagePR granted my request. Going into this book I thought this would be your atypical NA book but how wrong was I! When it first starts off Cali is spending her summer before law school working and helping her best friend move on from her ex and find someone new but then Jaeger arrives. However, for these two it's never plain sailing and that's why I loved this book so much! There's drama in here you would never expect to find in NA and I loved that so much. Both Cali and Jaeger have issues they need to deal with and they fight them head on together. See, there's a twist in this book that I never saw coming and I really hoped it wasn't true and that it could be worked out. After a week apart Cali and Jaeger face it head on and just when you think it's all going well. BAM. Something else happens and it implicates Cali in accusations of illegal drug possession/taking. When she wakes up and you're reading her interaction with Jaeger and her mom you get a real feel for how much Jaeger loves her and wants her. His worry is palpable through his words. I felt so sorry for the both of them in this book, they wanted each other but the universe seemed to keep blocking them. In the end everything is sorted and Jaeger manages to get rid of his ex for good with Cali's help, Cali regains her job that is helping her move forward with her career in art that she has decided on over her legal studies and the two of them are together and have their happily ever after. I enjoyed this book so much and I recommend everyone reads it!